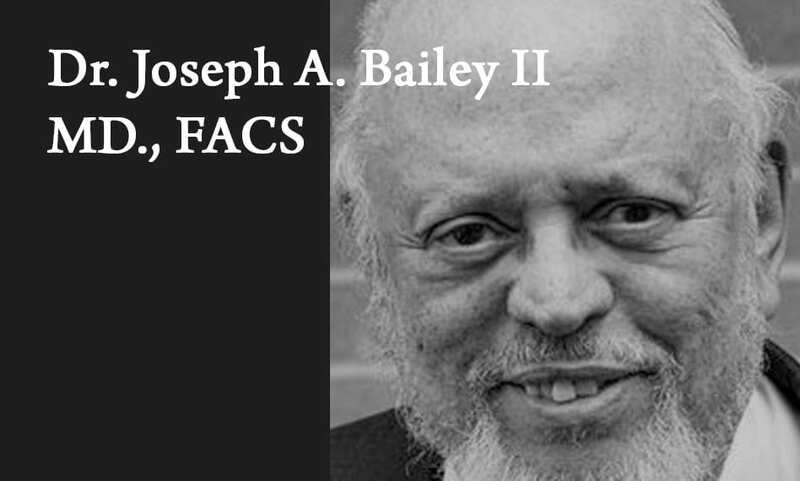 Jul 30, 2018 | Joseph A. Bailey II MD. Primitive Africans—in order to meet Needs and Wants of daily living–invented the wheel, pottery, the marked stick for measuring, ways of making fire, and smelting of copper and iron–the forerunner necessities for building gigantic brick structures, giant stone pyramids, and vehicles. Processes for doing each contained various mosaics of Knowledge/Truths. By focusing on any one or more of those bits and pieces within Thought Structures involved in creative, inventive, discovery, and innovative processes meant Knowledge/Truths, in part or in whole, itself as well as any evolution part are all transferrable to other like-kind Settings and/or Situations. Such is done by Deductive and/or Inductive Reasoning. Deductive Reasoning is going from Causes to Effects–from the Principle to its necessary conclusions as well as by making inferences from general truths to particular truths. A Priori reasoning (from Cause to Effect)deals with what exists before and independent of experience. For example, an ‘a priori’ Icon Image Symbol for a wheel was present in Primitive Africans minds before experiencing its reality. Yet, what seems ‘a priori’ to one may nevertheless have been slowly acquired from experience in the long history of Primitive Africans and continually absorbed from the African “Cultural Atmosphere.” An explanation is Primitive Africans calling on their Pre-Birth Emotions and Intellect (i.e. “First Wisdom”) whose Knowledge is not derived from human experience. Instead, “First Wisdom” contains the Cosmic Organism’s Universal Essence. From that, inferences drawn to fashion general laws or conclusions. Principles extracted are used as sieve (netting to strain) ones thinking, feelings/emotions, speech expressions, and behavioral patterns of impurities. By “First Wisdom’s” Essence being within humans’ Selfhoods (e.g. mind) makes possible humans’ experiences or sense of experiences in time, space, substance, Cause, etc.. By contrast, A Posteriori Reasoning (going from Effect to Cause) is derived from direct experience of an object or quality’s sensory contents, mental activities, and/or functions. This Inductive Reasoning uses specific Instances to reach General Conclusions. Both A Priori and A Posteriori Reasoning served as “Circumstantial Evidence” leading to beginning Generalizations which, when verified, founded established Objective Science. What distinguished these African Tradition concepts was their staying in Primitive Africans’ metaphorical Circular Cosmic Spiritual Genetics River System composed of the Spiritual Elements of Unconditional Love, Truth, Reality, and the Natural. Later African Subjective and Objective Sciences enabled inferring Unconditional Love to be the ultimate unifying force, while interconnecting and interpenetrating all Real Creatures and Creations within the multi-dimensional Cosmic system. Those Spiritual Elements Attribute Products provide basics comprising African Traditions’ Standards, Guides, Filters, and Measures used for Right Life Living. It is extremely important to note that when the semi-barbaric ancient Greeks borrowed these concepts from Africa, those supreme thoughts were above their ability to understand. Thus, Greek Logic, rather than systematizing its processes for thinking in Truth, Unconditional Love, Reality, and the Natural, has its basis and primary concern on the correctness of the pattern of thought by analysis. That accounts for the European reasoning expression saying a statement may be “logical” but not true. Greek Logic evolved into Negative “Tools” for pawns, puppets, dupes, hirelings, stooges, con-artist, the wicked. Nevertheless, as individual Primitive Africans began joining later Africans to create the Very Ancient African era, more massive and more permanent living structures were built in order to live in villages and in larger settlements. The earliest builders used rocks and dead trees for building. This required inventing tools for cutting down trees and for shaping and cutting stone. Mathematics was needed for constructing huts on marsh land; to count the village members; and to account for a host of other things. When these early Africans learned to make flintstone tools and weapons, those tools laid groundwork for more complex societies. Together, they led to formations of “Number” words. Altered Food supply activities came from African women inventing agriculture (?20,000 BC) with its devising of deliberate planting and inventing of hoes, digging-sticks, and sickles for reaping. Ancient Egyptian wall paintings show early plows fashioned by harnessing an animal to the heavy, short-handled, long-bladed hoe. And this is still in use.